I'd been meaning for a while do a historical stats section for ftql.com, but it was just a matter of finding the time to make a start on it. 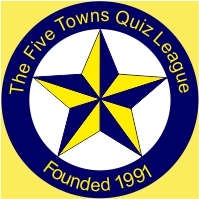 So, in short, here it is, the full hysterical history of the 27 full seasons of the Five Towns Quiz League. Re Finals' Night photographs - if you wonder why some individual photographs are missing, please take into account that on more than one occasion the newspaper were sent the negatives of the Finals' Night photographs and then failed to return and subsequently lost them, so that would be the reason why. Player All-Time League Appearances table. Click here. FTQL Finals Night venues table.